This classic attraction wasn’t at Disney World when the park first opened in 1971, but it got here as fast as it could! The attraction actually had its beginnings at the 1964 New York World’s Fair. It was designed by Walt Disney himself at the request of General Electric to be used in their pavilion at the fair. It was created as a stage show with several acts, each one performed on a different part of the stage that was partitioned off from the rest of the stage. The show itself took place on a stationary stage, and at the end of an act, the audience seating area rotated around, much like a carousel. The show made use of animatronic human figures that moved in sync with a recorded script. Each act highlighted electricity and its effects on man’s progress over the years. In 1973, the Carousel of Progress was moved to Disney World, where it opened to the public in 1975 in Tomorrowland at Magic Kingdom. The attraction today is a 21-minute stage production that maintains the theme of electricity and progress over the years. 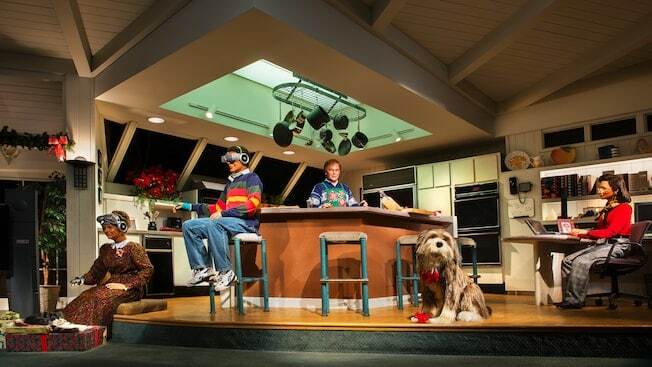 It did have a name change—in the 1990s, it was renamed “Walt Disney’s Carousel of Progress,” but Disney fans don’t mind that kind of change. If you’ve never seen the show, don’t miss your chance to experience a great big beautiful tomorrow!